A Saturday morning in the Squirrel Hill neighborhood of Pittsburgh normally involves joggers on their way to Schenley Park, hipsters going for brunch and Jews walking to one of a dozen local synagogues. It was a place that represented American civility. Now it further reveals the ugly new chapter of incivility. I lived in Squirrel Hill in 2004-2005 while stationed in Pittsburgh as a reporter for The Wall Street Journal covering the global steel industry. I lived on Hobart Street, a mile from the Tree of Life synagogue (see video below). It was a neighborhood where my 20-something friends and I would meet at the Squirrel Cage on Tuesday nights to discuss music, film and books. Gentiles and Jews in Squirrel Hill enjoyed the same movie theaters, bowling alleys and bagel stores. It was a neighborhood that seemed pleasant and safe for young people who attended the Yeshiva school next to my apartment building, the older people who lived on fixed incomes in the neighborhood and immigrants from India, China and Africa who come to study at nearby Carnegie Mellon University and the University of Pittsburgh. So it was unfathomable on Saturday when a man whom police identify as Robert Bowers walked into the Tree of Life synagogue in Squirrel Hill, opened fire with an assault rifle and killed 11 elderly members and is said to have shouted “All Jews must die.” News reports showed us the profile of a hate-filled loner, spewing anti-Semitic thoughts and conspiracy theories online. Bari Weiss, an editorial page staff member at The New York Times who grew up in Squirrel Hill (and a former colleague of mine at the Journal), noted that Fred Rogers grew up three blocks from Tree of Life synagogue. Steelers coach Mike Tomlin lives nine doors away. “Squirrel Hill functions like an urban shtetl,” she wrote in a column in the Times. It seems clear the shooter was filled with hatred and anti-Semitism. Clearly anti-Semitism is on the rise. The Anti-Defamation League reported anti-Semitic incidents up 60 percent in 2017 from 2016. ADL tabulated “1,015 incidents of harassment, including 163 bomb threats against Jewish institutions, up 41 percent from 2016; 952 incidents of vandalism, up 86 percent from 2016.” It also seems attacks on houses of worship are up generally with a researcher identifying more than 500 violent incidents at houses of worship in 2015 and 2016 alone. And why are houses of worship frequently sharing the distinction with public schools as places where crazed gunmen go to unleash bullets in an attempt to wreak fear, death and sorrow? Roughly a year ago on Nov. 5 of 2017, 26-year-old Devin Patrick Kelley walked into First Baptist Church in Sutherland Springs, Texas, shooting up the sanctuary and killing 26 people. A troubled young man, he was angry at his ex-wife and her family who attended the church. Also in January of 2017, a gunman opened fire at a mosque at the Islamic Cultural Centre in Quebec City, killing six men attending prayers. 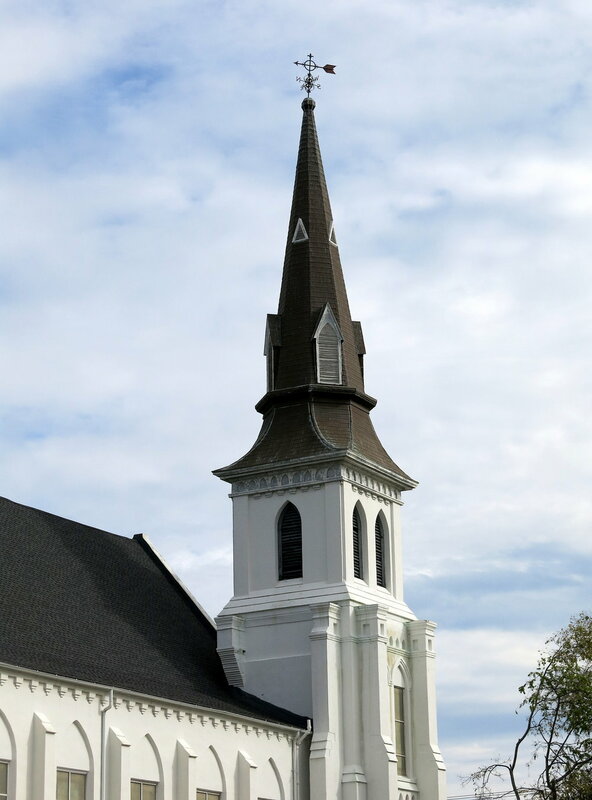 In June of 2015, a troubled young Dylann Roof marched into Emanuel AME Church in Charleston, S.C., and shot the pastor and eight worshippers while their heads were bowed in prayer during a Bible study. Roof had imbibed white supremacist thinking and decided to act violently. 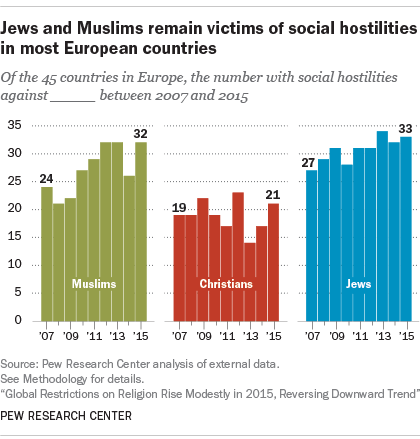 “The global rise in social hostilities reflected a number of factors, including increases in mob violence related to religion, individuals being assaulted or displaced due to their faith, and incidents where violence was used to enforce religious norms,” wrote the researchers at Pew. For another thing, places of worship are sources of identity and tradition for people. They are places of learning about sacred texts. They are places for joy, community and support for one another. Like schools, they are a place of refuge and progress for many. And the world religions, while differing in doctrines and beliefs, share some core principles: peace, forgiveness, toleration of others. Lou Weiss’ words remind me of what the young Frenchman Alexis de Tocqueville said during his observational study of America in 1835. “The greatness of America lies not in being more enlightened than any other nation, but rather in her ability to repair her faults,” Tocqueville wrote. Tocqueville was searching for insights from America that would help inform the democracy that would later take root in France. He saw how religion leads democratic men and women away from narcissistic and materialistic tendencies that are part of more hierarchical societies. And he was right that religion and religious freedom are precious gifts in a democratic society as a source of moral wisdom and goodness. And maybe that’s why places of worship, like schools, are under assault in America.